Cold Laser Therapy, also known as Low Level Laser Therapy, is a treatment that utilizes specific wavelengths of light to interact with tissue and is known to accelerate the healing process of a variety of clinical conditions. By definition, this type of therapy uses radiation intensities that induce minimal temperature elevation (not more than 0.1 to 0.5 degrees Celsius), if any. Low energy lasers have been promoted as an effective way to produce pain relief. Cold lasers are handheld devices used by the doctor and are typically the size of a flashlight. The laser is placed directly over the injured area for 30 seconds to several minutes, depending on the size of the area being treated and the dose provided by the cold laser unit. 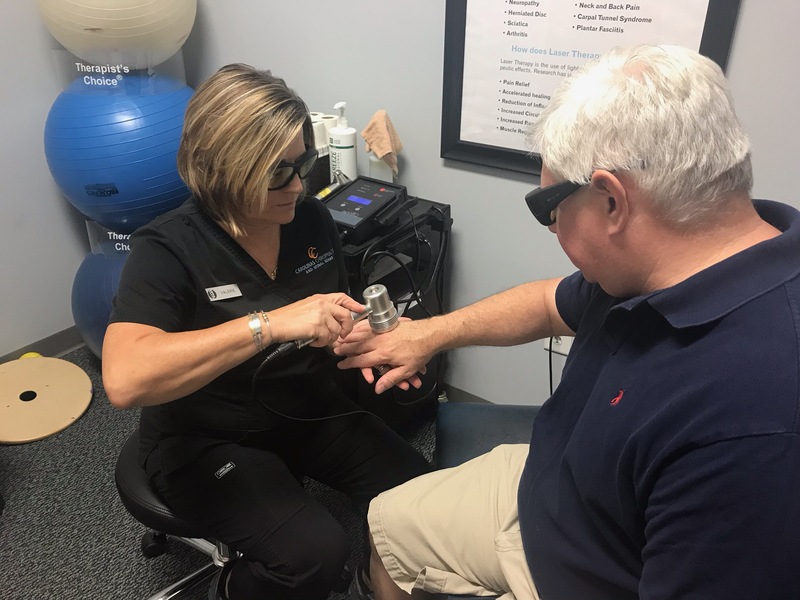 Cold laser therapy is one option among a variety of treatment approaches that can potentially alleviate pain symptoms without the use of surgery or drugs. When laser light is absorbed by living tissue, it triggers biological reactions in the cells. Chemical substances are produced, released and carried by blood and lymphatic flow to other parts of the system. In this way the effects of cold laser light create broad systemic healing effects. The FDA has cleared laser therapy for the treatment of many pain syndromes. The investigation of a broad array of conditions has been completed and more are underway. The FDA considers laser therapy to be a safe and effect modality when used properly by a licensed practitioner. No. Cold, low level lasers do not generate perceivable heat. Therefore, when the laser contacts the skin the patient experiences minimal warmth and no burning. Most people feel nothing while some may feel a slight tingling or tapping during the treatment. Yes. There are more than 3000 scientific research studies on laser therapy. These investigations verify clinical value and effectiveness of Laser Therapy. Treatment times vary depending on the condition and severity. Treatment times range from seconds to several minutes. A typical treatment plan is 4-6 treatments with some at the extreme end lasting up to 20 visits.